About Dana: Dana has been with the School of Engineering since 2014, previously as the fiscal officer and student employee manager for Engineering Technical Services. 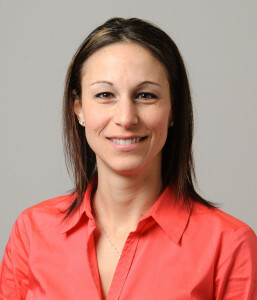 In her current role as academic advisor for the Computer Science & Engineering department, she advises students in planning an academic program, course registration, changing majors, creating planned programs of study, managing academic difficulties, new student orientation, and other student academic related matters. Dana holds a B.S. in Business Administration from Mount Ida College, a M.S. in Higher Education Administration from Bay Path University, and an Ed.D. in Educational Leadership from UConn. Dana’s research for her Ed.D. consisted of revising the University’s Academic Recovery Engagement Plan (AREP) for students on academic probation and establishing best practice guidelines for advisors across the university to use in their academic recovery meetings with probation students. Additionally, she is highly involved with further assessing probation related policies and procedures in collaboration with the Office of University Advising. On the weekends and during off time, Dana enjoys caring for and riding her rescued Standardbred horse named Hot Rod.